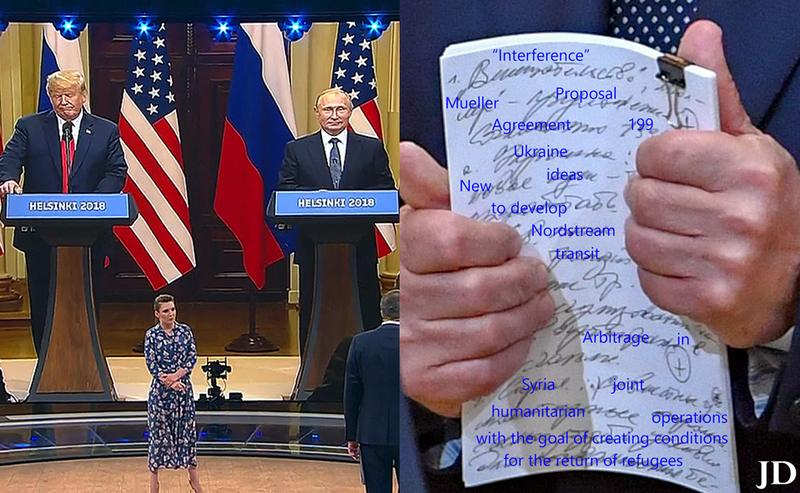 Having masterfully set the stage for another propaganda coup, Russia is enjoying the spoils of the Trump-Putin summit in Helsinki. The Kremlin’s bullhorns predicted an easy victory, but the reality surpassed their wildest expectations. 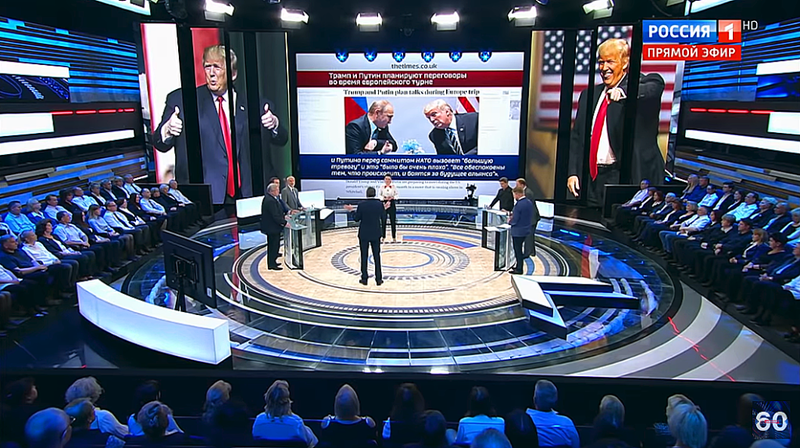 President Trump and Russian President Vladimir Putin performed their parts in a spectacle that was a propagandists’ dream come true. 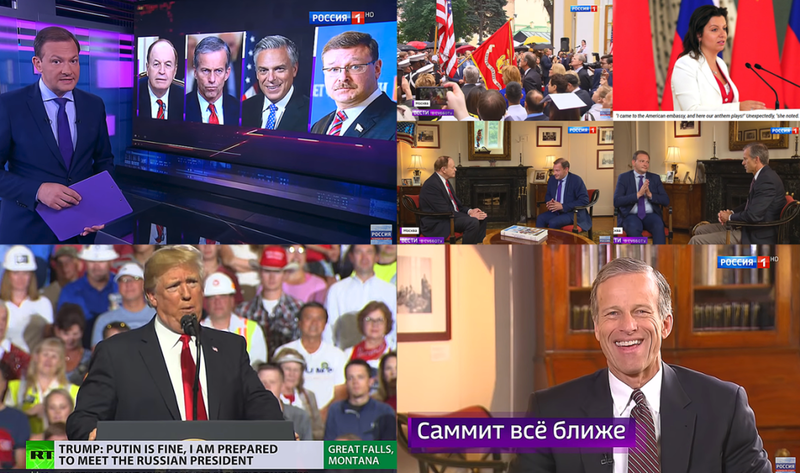 On the eve of the Putin-Trump summit, the Kremlin propaganda is on the upswing, in a way that is unprecedented in modern American history. Putin’s bullhorns, highly skilled at conjuring up fake stories, now get their best storylines from real life. The most shocking agitprop is currently created by amplifying the abnormal attempts to normalize the U.S. relations with Russia and spicing them up with a generous helping of disinformation. The impending Trump-Putin summit is a source of high hopes in Putin’s Russia and a cause for high anxiety in the West. Russia is viewing the summit as the end of the political isolation that followed the annexation of Crimea. The West sees it as an undeserved normalization of relations, since Russia has not done anything to warrant being treated as a trustworthy political partner. Russia’s English-speaking media and government representatives would have you believe they’re on the defensive, fending off the West’s attacks in the info-sphere. However, their real point of view emerges in Russian-speaking media, where the Kremlin’s mouthpieces boast of winning the info-war against the West. 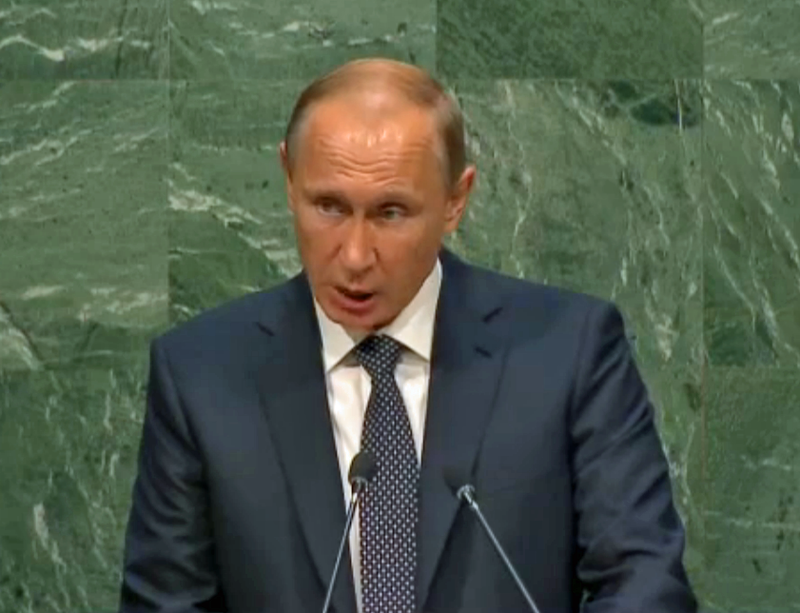 On September 28, 2015 Russian President Vladimir Putin took the stage at the UN General Assembly for the first time in a decade. 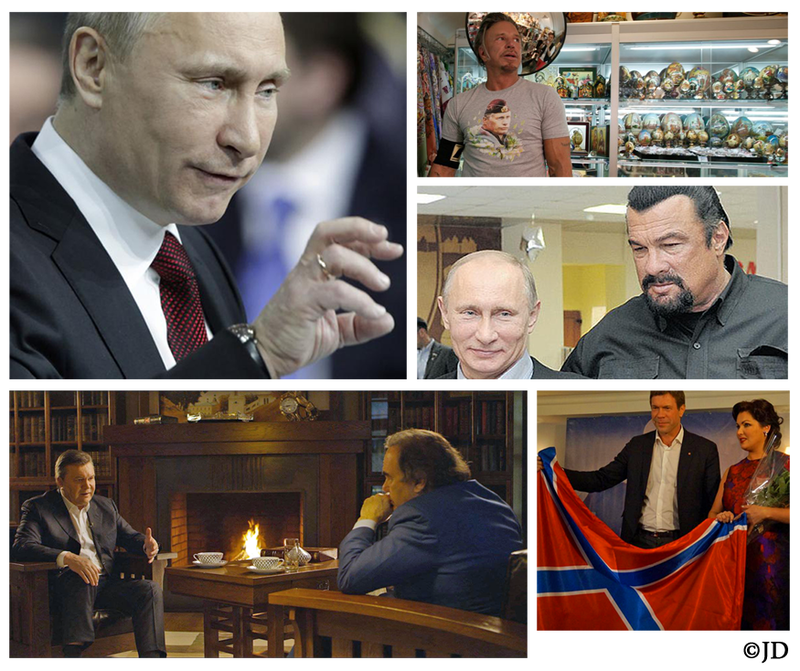 “Putin Speech Bingo” successfully predicted many of the Russian leader’s talking points. As expected, the speech was replete with innuendos, historical references and outright falsehoods. Putin claimed that the original purpose of the UN has been violated by “those that found themselves at the top of the pyramid” after the Cold War. “They thought they knew better and thought they did not have to reckon with the UN to legitimize their decisions,” Putin added. This innuendo was undoubtedly directed at the U.S. What Putin conveniently omitted is the fact that Russia’s military interventions in Chechnya, as well as its invasions/annexations of parts of Georgia and Moldova, were undertaken without seeking UN resolutions. In fact, Russia voted against the UN resolution that sought to investigate egregious human rights violations committed by Russia in Chechnya. Russia also vetoed a U.N. resolution authorizing the continued presence of U.N. peacekeepers in Georgia. While extolling the importance of the UN, Russia consistently vetoed resolutions attempting to find solutions for frozen conflicts in the former Soviet space. 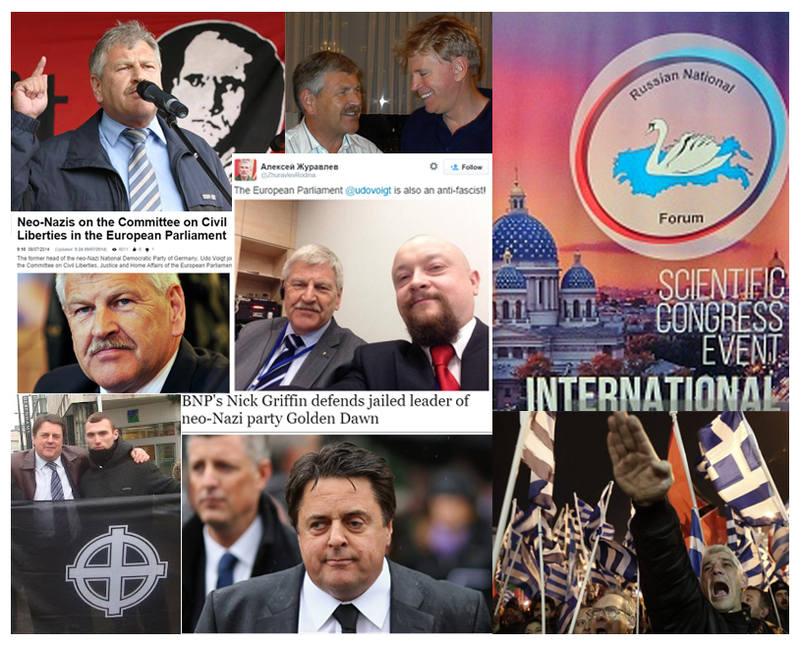 Russian propaganda keeps churning out brazen disinformation about current events in Russia, Ukraine and the West. 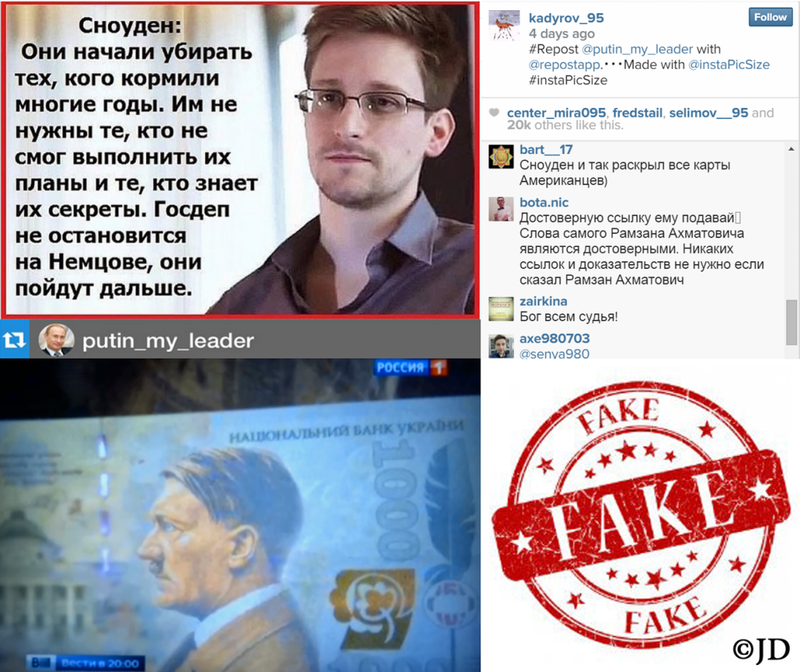 Since Edward Snowden’s representatives are reportedly negotiating a deal that would allow him to return to the United States, Russian propagandists decided to use his name with a sinister motive. Putin’s regime is producing multiple conspiracy theories about the recent murder of Boris Nemtsov – Russia’s former Deputy Prime Minister and a prominent Russian opposition leader. The most obvious motive is quite clear: Nemtsov was a prolific critic of Vladimir Putin, who compiled thorough reports and made public statements about the corruption of Putin’s kleptocracy. Nemtsov’s latest project was to expose the open secret of Russia’s troops covertly fighting in Ukraine. The Kremlin’s propaganda machine is explicitly avoiding any discussions about the real motives behind the long string of deaths of those who dared to criticize Russia’s autocratic leader. Instead, Russian propagandists are promulgating tall tales that disingenously attempt to pin the blame on Islamic extremists, romantic jealousy and the U.S. Department of State. 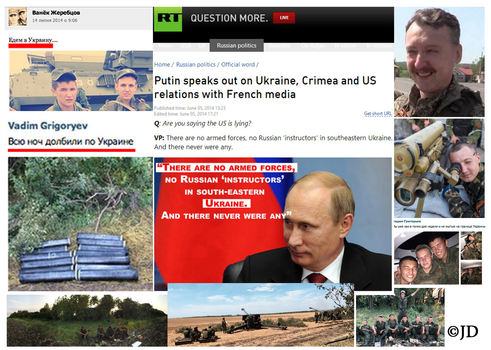 Russian military regulars fighting in Ukraine is an open secret –a “secret de Polichinelle.” Putin’s ghost army is ravaging the Ukrainian countryside, while Russian officials continue to deny their presence in a neighboring country, brazenly lying to the world. Russia is quietly transporting its wounded soldiers, checking them into hospitals after-hours and omitting their names from the general registries. The dead of Russia’s undeclared war against Ukraine are being buried in secret. Injured survivors are ordered not to admit where the said injuries occurred, at the risk of losing military benefits. Their families are also discouraged from speaking out. Russian government labeled the non-profit group Soldiers’ Mothers a “foreign agent,” after its chairman, Ella Polyakova (also a member of the Kremlin’s human rights council) openly stated that Russian soldiers were fighting in Ukraine. Russia’s former Deputy Prime Minister Boris Nemtsov was gunned down near Kremlin walls, just before he was to present incontrovertible evidence about regular Russian troops fighting in Ukraine. Nemtsov was under constant surveillance and the location where he was assassinated is the most-policed area of Moscow. 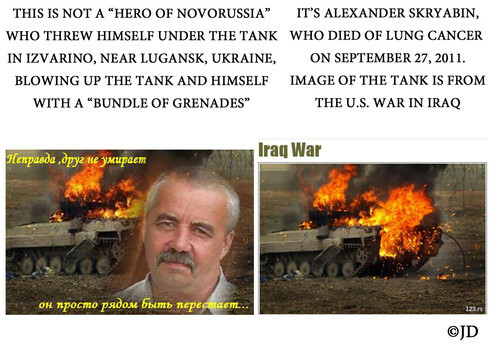 The brave truth-teller became yet another casualty of Putin’s covert war in Ukraine. President of Russia Vladimir Putin arrogantly scoffed at the defeat of the Ukrainian military in Debaltseve, gloating at their “shame” of losing the battle “to yesterday’s coal miners and tractor drivers.” In reality, Ukraine is fighting against Russian military that is hiding behind the fraying veil of local “separatists.” Much like Russia’s “little green men” in Crimea, Ukraine is crawling with regular Russian troops and armaments. Russia is using its most sophisticated weaponry in eastern Ukraine, including the truck-mounted SA-22 surface-to-air missile system (Pantsir-S1). Ukraine does not possess these types of weapon systems, which immediately dispels ludicrous claims of separatists about “capturing” weaponry from the Ukrainian armed forces. While the West enjoyed the celebration of love on Valentine’s Day, events in Eastern Ukraine were far removed from the lovefest. In spite of the ceasefire, fierce fighting continued in the area of Debaltseve, where several thousand Ukrainian troops are cut off from the only road to Ukrainian-held territory. 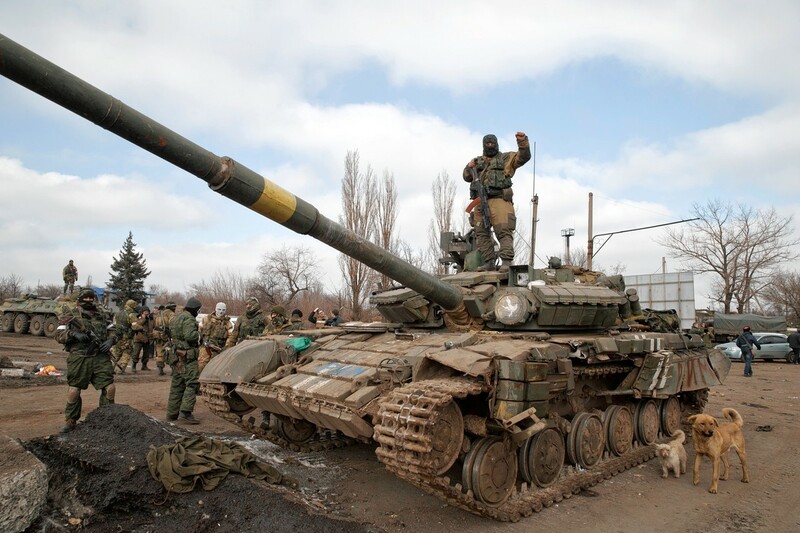 Continually arriving shipments of sophisticated weaponry by the regular Russian army allow the militants the ability to maintain a protracted standoff. Russia-sponsored terrorists say they do not consider Debaltseve to be covered by the ceasefire and will not allow Ukrainian troops to leave, unless they surrender. “I’m not a bloodthirsty person, but a hungry death awaits them, in all likelihood,” said Eduard Basurin on behalf of the self-proclaimed ‘Donetsk People’s Republic’. Basurin ludicrously asserts that Ukrainian troops on Ukrainian territory are “an enemy who has come to our land.” President of Ukraine Petro Poroshenko vowed that Ukrainian troops would return fire if attacked by the unlawful combatants. Knowing that the fragile ceasefire could be violated by the illegal factions at any point in time, the Russian media cooked up a story meant to blame Ukraine for the anticipated confrontations. Horrific rocket attacks by Russian insurgents in Ukraine have left 30 people dead and over 100 injured in the city of Mariupol. Kremlin continues to deny its direct involvement, in spite of a growing body of information about numerous Russian soldiers killed in Ukraine, as well as sophisticated Russian weaponry used by the so-called “rebels” in their attacks. Russian paratroopers, captured in Ukraine, revealed the use of misleading uniforms that enable members of the Russian military to covertly operate within Ukraine. These techniques, also known as “masquerades” or false flag operations, were common under Soviet military doctrine. Soviet and Russian commandos were sent into Afghanistan and Chechnya, posing as locals. 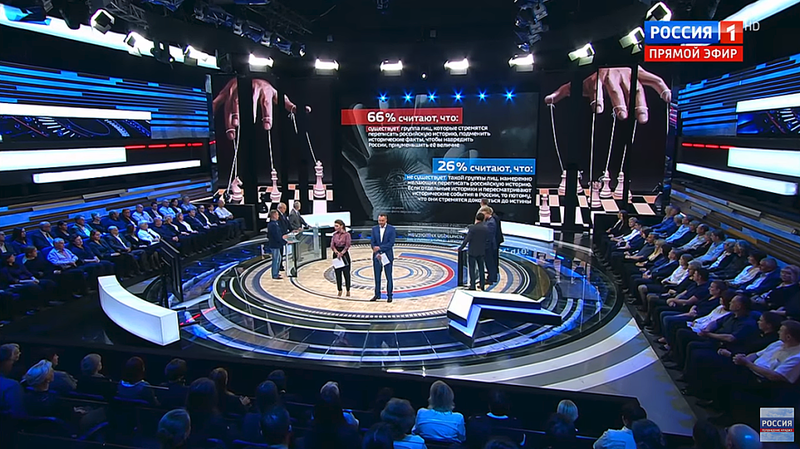 Another front of Russian aggression is the country’s notorious propaganda machinery, which aids the Kremlin in its efforts to obfuscate the facts and spread disinformation. One common technique of the Russian mainstream media is boasting about the offensive mounted by Russia-funded “rebels,” but immediately shifting the blame to the Ukrainian military whenever terrorist activities cause mass casualties of civilians. Secretary of State Hillary Clinton infamously presented Russian Foreign Minister Sergei Lavrov with a gift-wrapped red button, which said “Reset” in English and “Peregruzka” (“Overload”) in Russian. The prop, pilfered from a Jacuzzi or a swimming pool in Geneva, turned out to be quite symbolic. While the West naively looked the other way, Russia overloaded the world with the deluge of disinformation and propaganda. 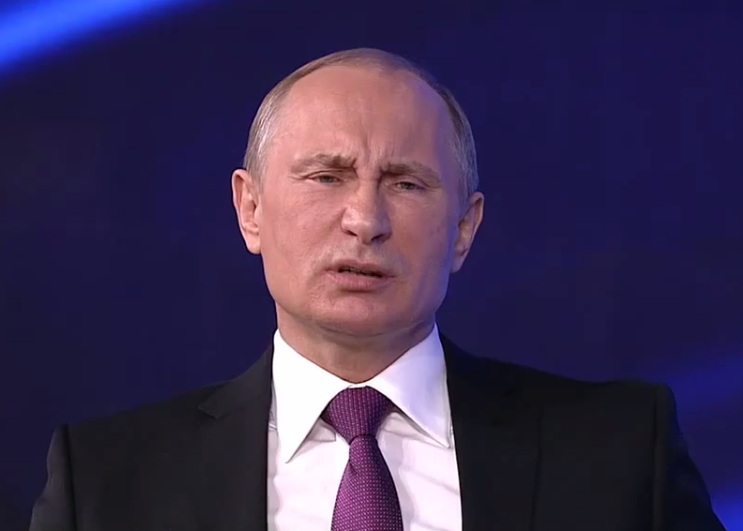 Putin told the delegation of rabbis: “Unfortunately, just like 70 years ago, arrogance often achieves its goals. After all, Goebbels had said, “The more improbable the lie, the faster people believe it.” And he achieved his goals, he was a talented man.” By that definition, as a mediocre Chekist who rose to the highest position in the land, Putin himself is quite talented. His propaganda machine spreads fantastical stories, outright lies and ludicrous conspiracy theories. Even after those fabrications are exposed, they plant the black seed of deception in the minds of worldwide audiences. 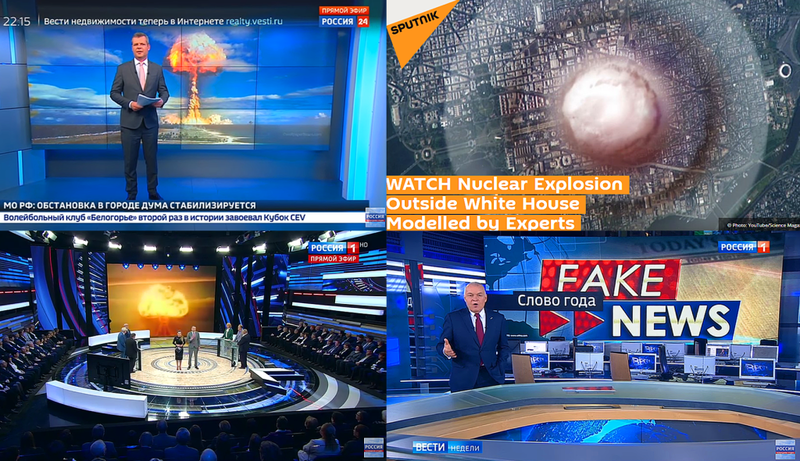 Russia’s mainstream media exploded with a stream of articles and TV programs, claiming that Ukrainian journalist Bogdan Butkevych called for the murder of 1.5 million people in Donbass, Eastern Ukraine. 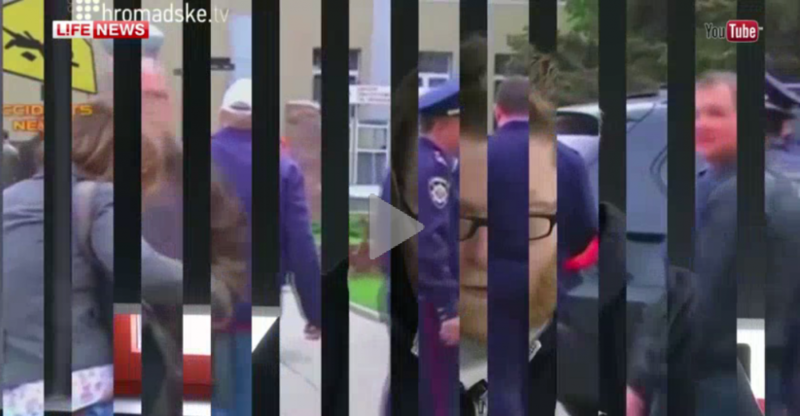 Putin’s house of cards continues to fall apart, one Joker at a time. The West assumes that the game of strip poker will eventually shame Russia into curtailing its activities, failing to realize that Emperor Putin is a nudist. Like any good Chekist, he is largely devoid of shame or conscience. Russia cannot be understood according to the Western system of values, for it does not seek to be liked, trusted or respected. Putin’s Russia wants only to be feared. The West is likewise incorrect in assuming that the majority of Russians are zombified into supporting aggression against Ukraine. Many of them fully realize that Russian mainstream media is broadcasting blatant lies. They’re willing to reiterate and disseminate deliberately false statements in a misguided belief that in doing so, they’re helping Mother Russia to counter Western propaganda. 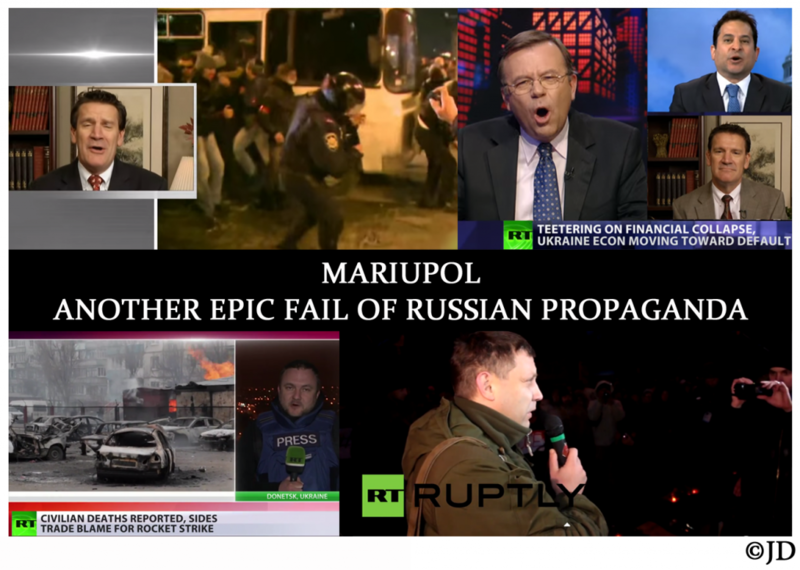 Russia’s propaganda war stooped to unimaginable lows with respect to its coverage of the events in Ukraine. 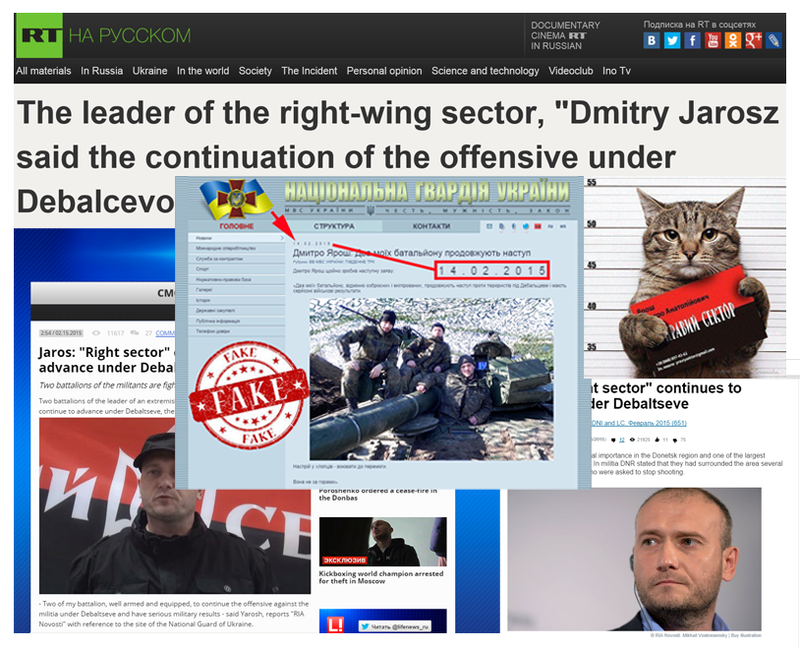 Russian media used images and videos from Syria, Chechnya, Dagestan, Kabardino-Balkaria, Bosnia, India, China and Australia to illustrate alleged atrocities of the Ukrainian government. It claimed that Ukraine no longer exists as a country (including statements to this effect by the head of Russia Today (RT) Margarita Simonyan), labeling its territory as mystical “Novorussia.” It declared Ukrainian people to be the “occupants” on their own land and actively recruited mercenaries to fight against the military of Ukraine. 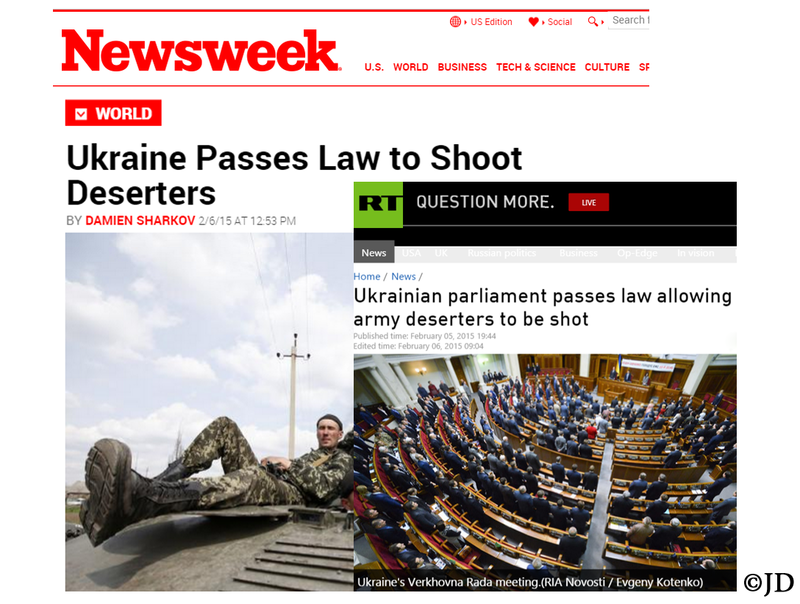 Russian mainstream media shamelessly claimed that Ukrainian military “harvests organs” from living people, that Ukrainian government is building “concentration camps” and imprisoning all healthy males on the territories that have been recently freed from Russia-sponsored terrorist/separatist forces. 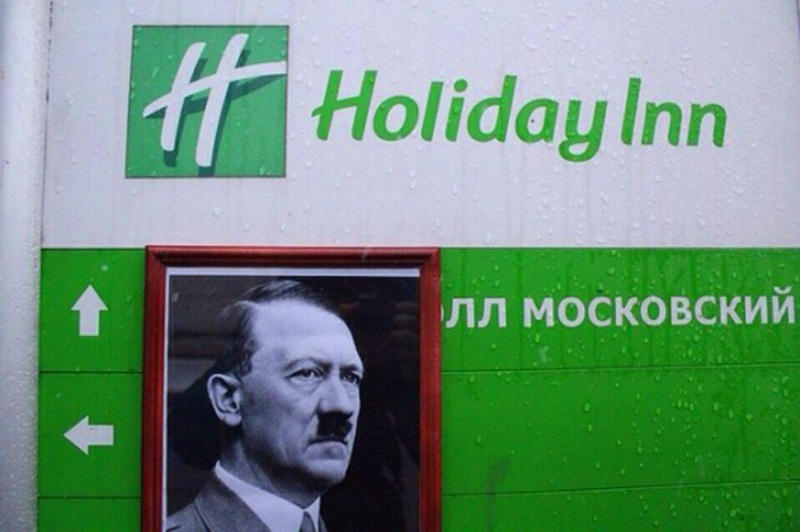 This information is also being actively disseminated by Russia’s leading propagandists (such as Alexander Dugin, who deliberately used unrelated images of dead children to corroborate his hysterical calls for all able-bodied Russians to travel across the border and wage war against Ukraine’s military, government and people).